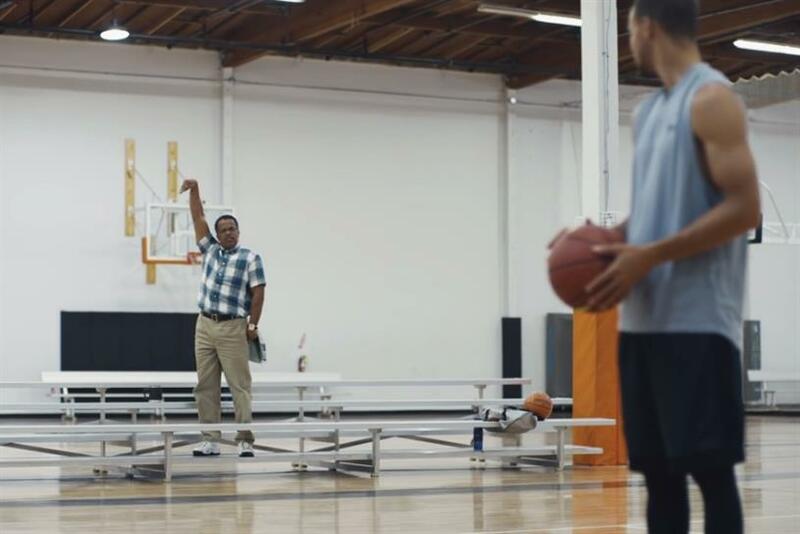 Boston agency MMB enlists the league's best shooter to pitch a little-known coaching startup. Reigning NBA MVP Stephen Curry has gotten his share of unsolicited advice, usually yelled from the sidelines. It's a scenario most athletes—great or otherwise—are familiar with. Armchair quarterbacking is a national pastime, after all. But the Golden State Warriors point guard, who in 2015 led the team to its first NBA championship in 40 years, has a sense of humor about it, which he showcases in a new spot for the Boston-based startup CoachUp that parodies the worst and most self-assured offenders. The cast of courtside kibitzers begins with realistic, if still annoying, advice that becomes increasingly ludicrous as the spot progresses. Curry posted the ad on Instagram just before it debuted online on Wednesday, and it quickly racked up more than 2 million views. "It's a concept that rings true to athletes," said Travis Robertson, ECD at MMB, the independent Boston agency that created the spot. "They've been 'coached' their whole lives by people who aren't as good as they are." Larry Bird ranks Curry among the best shooters in NBA history, and the 28-year-old is the only person to ever win MVP by a unanimous agreement among all 131 voters, but even he isn't immune to smug sideline shouting. "Everybody's been through this, including the best in the world," Robertson added. Curry is an investor in CoachUp, which provides private coaching services in 30 sports to athletes around the country. He attributes much of his success to private coaches he's worked with throughout his career, a fact he referenced when he announced his stake in the company last year. New England Patriots wide receiver Julian Edelman and Boston Bruins president Cam Neely are also involved with CoachUp, but Curry was the obvious choice to star in the spot. "Steph has the notoriety, and he's got the cachet—he's a household name," Robertson said. "In terms of stature in the sports world, it doesn't get much better than him." And his passion for private coaching, along with the authenticity of the ad's message made it easy to get him to agree to star in it, Robertson added. "He liked the angle. It didn't take a whole lot of convincing to get him on board." The MMB team flew out to California and shot the spot in a single day at the renowned Jamtown basketball facility in Oakland. Curry is known as a savvy self-promoter who knows his worth to brands. He left Nike for Under Armour after feeling undervalued (his current relationship with UA has been valued at $14 billion), and he has starred in ads for the Apple iPhone 6, Foot Locker (which sells his UA shoes) and Muscle Milk. His wife Ayesha parlayed a YouTube cooking channel into a Food Network TV program, and his father Dell is a former NBA player for the Charlotte Hornets who often appears in ads with his son.